Having run out of new color schemes and design tweaks to throw at their football uniforms, the Oregon Ducks have turned their attention toward the team's cheerleaders. 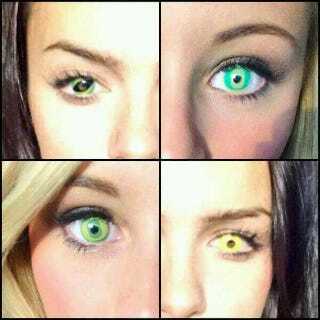 The cheerleaders will be wearing custom contacts at this weekend's game against Washington, and oh man are they unsettling. Do not stare at the picture above for too long, unless you are cool with getting your soul stolen.